Notes The Bergepanzer 38(t) was based on the Hetzer. These vehicles were to be issued to Hetzer companies and had an open topped compartment which housed the maintenance crew and plus lifting equipment. 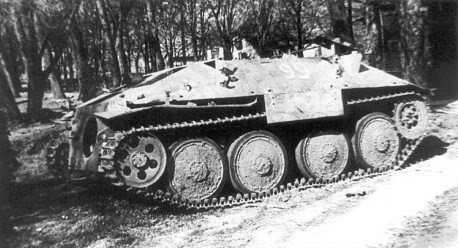 The Bergepanzer 38(t) served with Hetzer units until the end of the war.